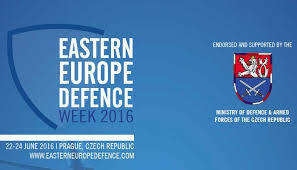 The Conference ”Eastern Europe Defence Week” – 22-24 June 2016, Vienna House Prague Hotel – is a significant industry meeting focussed on the modernisation of armed forces and a hub for regional and international defence companies to meet in Prague to establish important partnerships and secure business for ongoing and future projects. Under the official support of the Ministry of Defence of the Czech Republic, the event will focus on increased procurement activity of defence equipment on countries in Central and Eastern Europe. Many of the CEE countries have been modernising their militaries and increasing defence budgets, creating the ideal platform for international defence companies to support through co-production and joint-ventures.